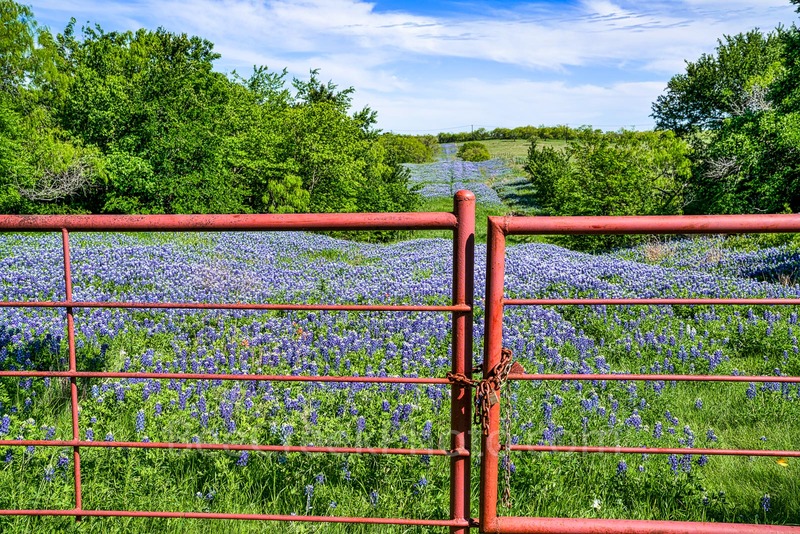 Bluebonnets at the Gate - Bluebonnets at the gate from the fence and beyond obviously a road into the property. Loved the bluebonnets that seemed to blanket this road on this texas ranch near Ennis. Photo © copyright by Bee Creek Photography - Tod Grubbs / Cynthia Hestand.